Continuing Professional Development (CPD) equips teachers with the needed knowledge and skills for the 21st Century Education. In this part, you can find the CPD material that was used in the piloting countries. The material informs teachers about the ePortfolio approach and helps them to plan, design and implement an ePortfolio approach in their classroom. 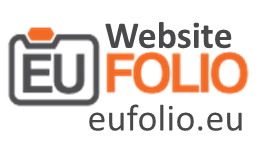 Deliverable 8 “EUfolio Review of Existing ePortfolio Policies and Practices” of the EUfolio project provides a thorough review of the existing ePortfolio policies and practices among the piloting countries (and elsewhere). The booklet provides a theoretical background regarding eAssessment, ePortfolio and 21st century skills in order to share a common understanding.